Join us once per month for film adaptions of popular books! Saturday, June 15, we will be screening First Man at the Nanaimo Harbourfront library. This biopic about Neil Armstrong was based on the authoritative biography, First Man: the Life of Neil A. Armstrong by James R. Hansen. 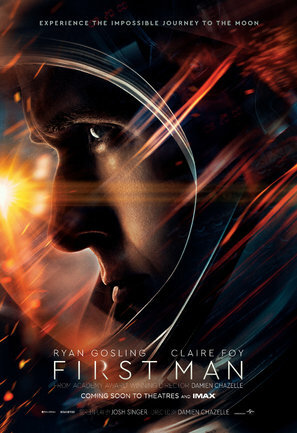 The film stars Ryan Gosling as Armstrong and follows the years leading up the successful Apollo 11 mission.